Everyone likes to be acknowledged for a job well done. In fact, recognizing employees publicly has been statistically proven to have a positive effect on engagement and morale. 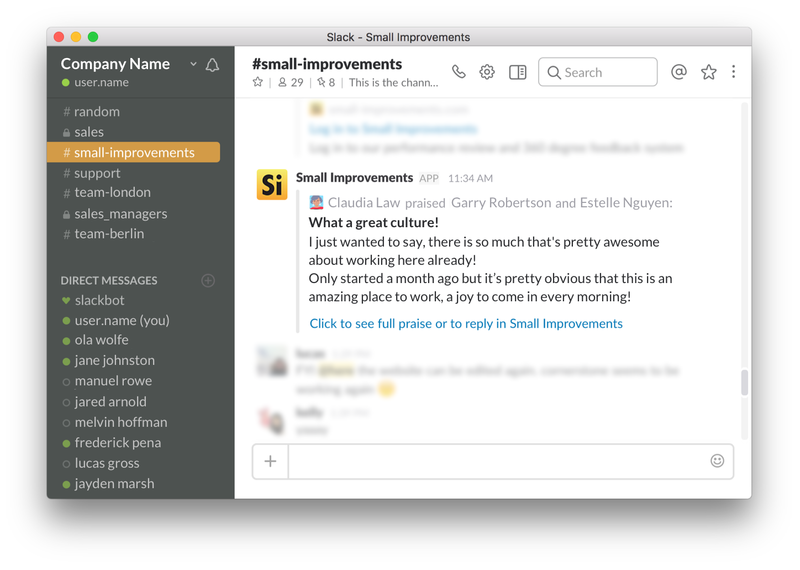 That’s why we’re thrilled to introduce a fully revamped Praise feature within Small Improvements. Celebrating your employees has never been easier – or looked better. We realized while our Praise feature was doing a good job of allowing employees and teams to receive recognition, we didn’t really showcase Praises as much as they deserved. First off, we wanted to change the focus of Praise. Initially, we had highlighted the person sending Praise. But now we’ve put the person or people being praised squarely in the spotlight. You may also have noticed the “Messages” tab on your home screen is gone (you can still access these in your User Profile). Praise now takes its place and serves as your starting point for the company Praise Wall. It’s quickly accessible from your dashboard, which makes it easier to initiate positive feedback. Why not give your Praises a theme? Or align them with your company values? For example, the “Motivator” badge works great for employees who continually bring a positive attitude to the office. Or how about the “Money Maker Medal” for the colleague who just closed a big sale? Not every Praise needs a badge, and we have an option for generic Praises, but we hope you’ll feel inspired to add a little flair. Celebrate your employees’ achievements where they can see it. 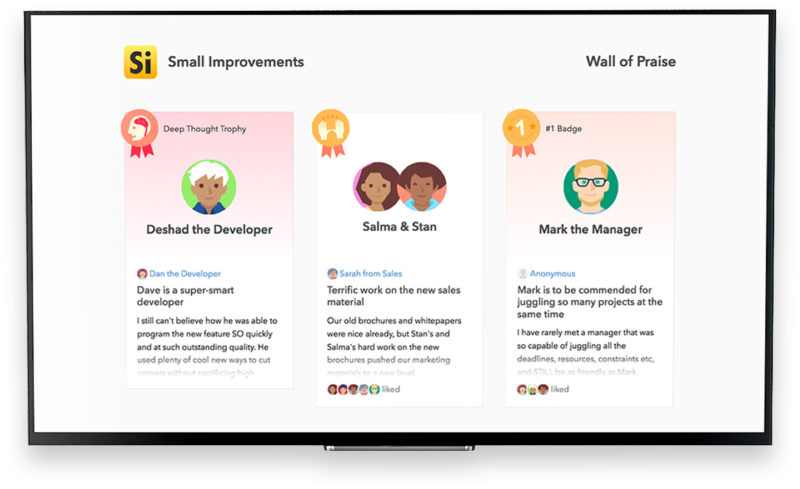 With our new Praise Wall, a slideshow of your company’s Praises is just a few clicks away, updated in real time. And Praises are interactive as well; employees can like and comment on their coworkers’ achievements. Praise is also available where your workplace conversations take place. With our Slack and HipChat Integrations, the collected Praises are also posted in a dedicated channel. That way the entire organization is updated in real-time when an employee is acknowledged. FYI: Those looking to send a private Praise can still do so. When creating the Praise, simply click on the “Public” icon. This brings up a window where you can request that only specific coworkers can see the Praise. 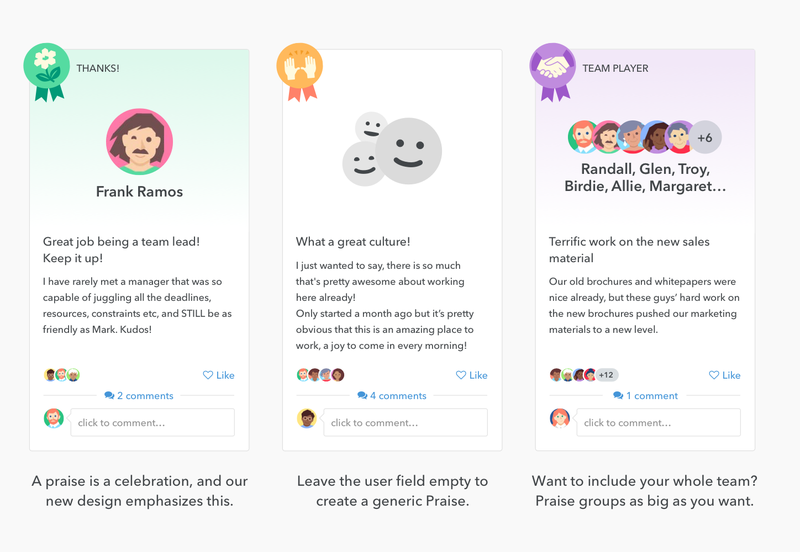 We hope you’ll give the updated Praise feature a try, and we’d love to hear your feedback on how your team responds to public appreciation.